Cartoonist Hank Ketcham created one of the most enduringly irresistible imps in the world. 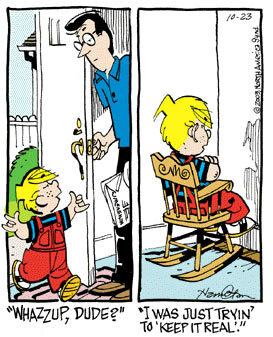 Dennis the Menace first began to plague his next-door neighbor, Mr. Wilson, in 1950 on the pages of America's newspapers. Today the comic panel appears in more than 1,000 newspapers in 48 countries and in 19 languages. Ketcham's brainchild has been the subject of a hit network TV series, starring Jay North, which ran from 1959 to 1963, and still appears on stations around the country. Animated Dennis adventures produced for General Mills aired in 1988-89. 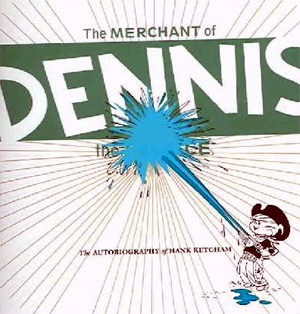 More than 50 million "Dennis" books have been sold. And the half-pint has become a popular spokescharacter for many worthy causes throughout the years. Although Ketcham turned the active reins of his comic over to longtime assistants Ron Ferdinand and Marcus Hamilton in 1994, he supervised the work on his favorite kid until his death in June 2001. 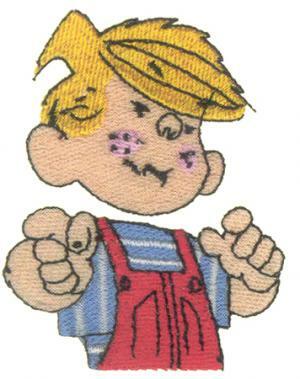 Dennis the Menace (also known in the United Kingdom as Dennis) is a live-action film based on the Hank Ketcham comic strip of the same name. Produced by Warner Bros. Pictures and John Hughes Entertainment, and originally released to movie theatres in 1993, the film stars Walter Matthau as George Wilson and Mason Gamble as Dennis Mitchell; this marked the first time the character was accurately cast as a five-year-old. Lea Thompson, Robert Stanton, Christopher Lloyd, Paul Winfield, and Joan Plowright co-star. Natasha Lyonne and Devin Ratray appear in small roles; veteran Hughes actors Billie Bird, Ben Stein, and Bill Erwin have cameo roles, as does Arnold Stang. The mischievous but lovable Dennis pulls out the stops for his friends the Little Clowns when their carnival is threatened by the miserable Awful BeBad and his attempts to spread gloom all over Itty Bitty City. A multi-volume edition (1951-1952) of the classic comic strip follows the irascible American youngster s post-war antics as drawn by his late cartoonist originator. A multi-volume edition (1953-1954) of the classic comic strip follows the irascible American youngster s post-war antics as drawn by his late cartoonist originator. An illustrated memoir and scrapbook by the late creator of the Dennis the Menace classic comic strip recounts his preschool entry into the world of drawing, early efforts to break into animation, World War II contributions, and the elements in his family life that inspired his cartoon. Author: Ketcham, Hank.